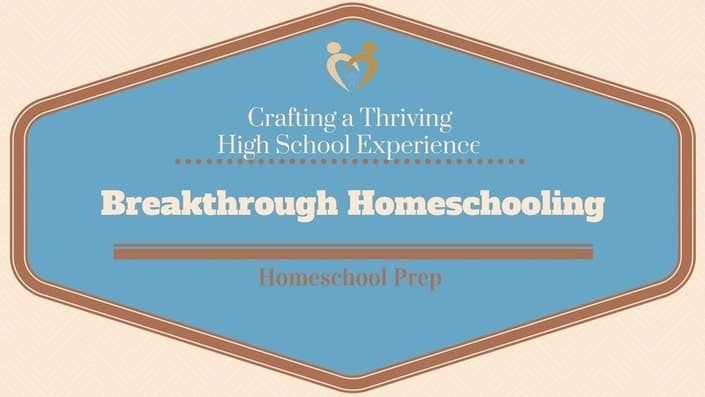 Enjoy this 5-day “mini-series” to help you prepare for homeschooling high school! Whether it’s something that you’re just considering, or you’ve recently committed to, here’s the skinny to help you get started. 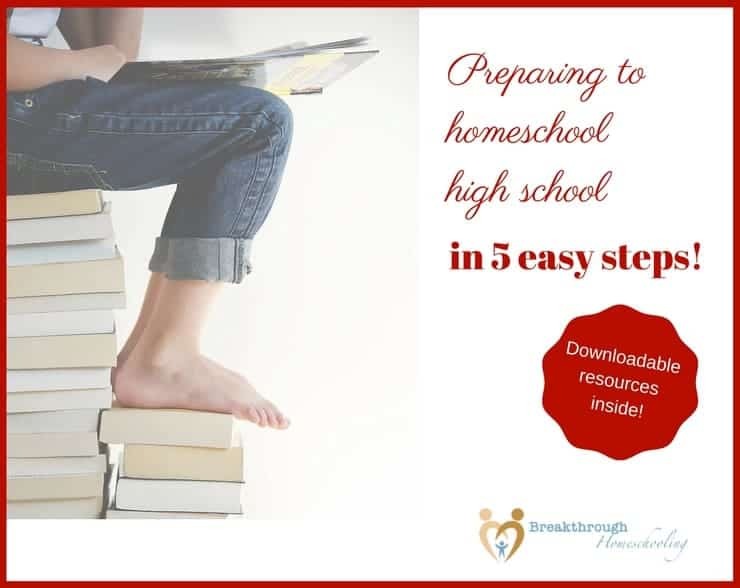 Homeschooling high school has been one of my very favorite seasons of the journey. While every season has its highlights, of course, high school is when you get to start dealing with your child on a much deeper and more-adult level. It’s a time when you get serious glimpses of the years ahead: how they’ll handle change, and disappointment, and grow into leadership; how they’ll make decisions about their future (and how you can help them! ), how their character has/is developing, and the condition of their heart. As you can see, it’s so much more than the books. But this week, that’s exactly where I’m starting. ‘Cause truth-be-told, that what I was first worried about: how on earth would I make a plan, teach higher-level subjects, and get them ready for and into college? Step One – Come up with a plan (see below) Today we’ll start with sketching out a plan for the complete four years. Don’t worry – it’s not as hard as it sounds. And if you have a plan to start out with, you’ll find it makes the inevitable adjustments down the road easier to deal with! Step Three – The power of a good elective – don’t neglect electives and life learning! By far the easiest way to create a plan is to start from the end. So think about what your teen will need by the end of his high school career, and then go back to the beginning and work ahead. I’ve done this over the years using this simple template. (You can download a copy here and save it to your own computer so you can edit it.) I’ve then used it as a model for my kiddos’ transcripts for college apps. Four down…and it’s worked for them all so far! …so that you can plan accordingly. If your teen looks interested in a science-related career, make sure you plan for strong science and math courses. Weak in writing? Freshman and sophomore year are great times to add a remedial course or a creative writing class for more practice. See? That wasn’t so bad – now you have a firm footing with the tools to get started! 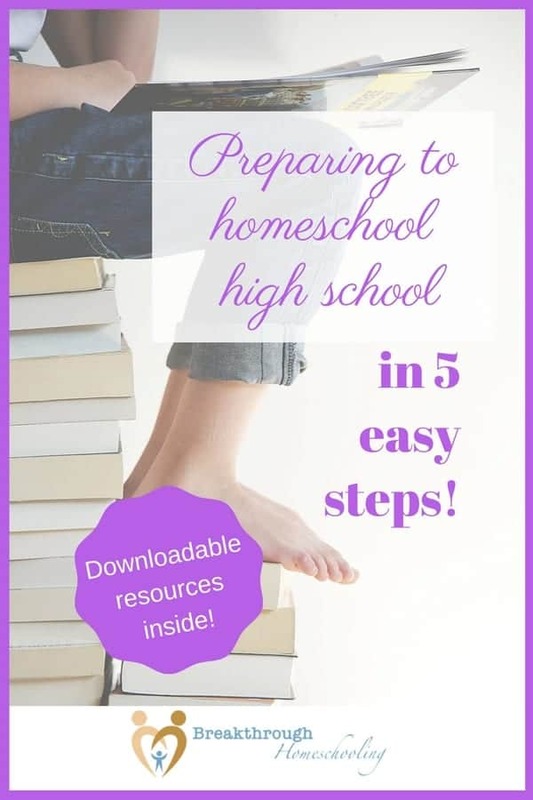 For more help you may want to check out one of my courses Homeschool Prep: Getting it in Gear (if you’re just getting started with homeschooling) or Crafting a Thriving High School Experience For Your Teen (when you’re getting ready to tackle the high school years). But until then…see you tomorrow, when we’ll take the next step to prepare to homeschool high school!